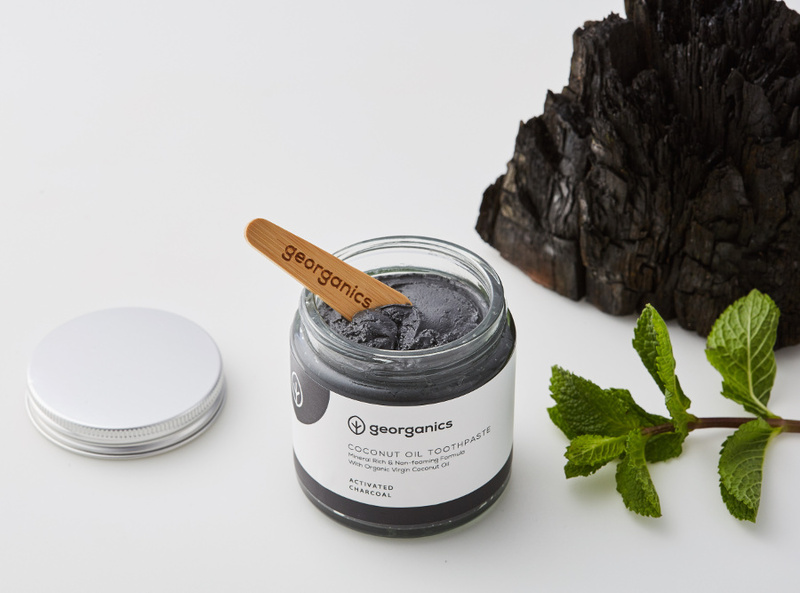 Zero-waste natural toothpaste, made with organic coconut oil blended with active charcoal and English Peppermint essential oil. The mildy abrasive paste works to cleanse and whiten the teeth and is free from fluoride, SLS and animal ingredients. 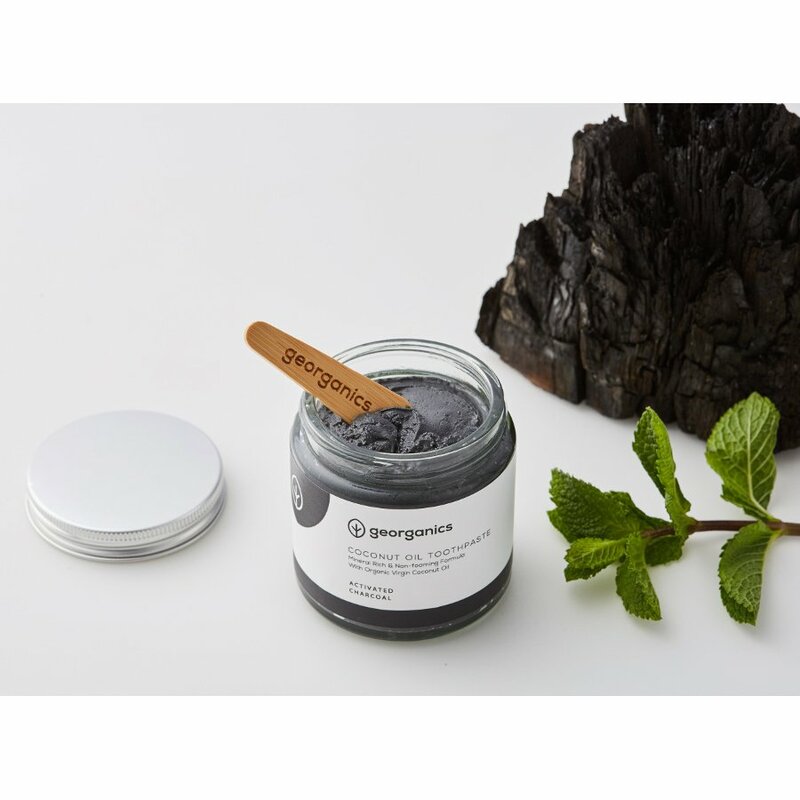 The vegan toothpaste comes in a reusable and recyclable glass jar with a protection seal made from biodegradable wood pulp. 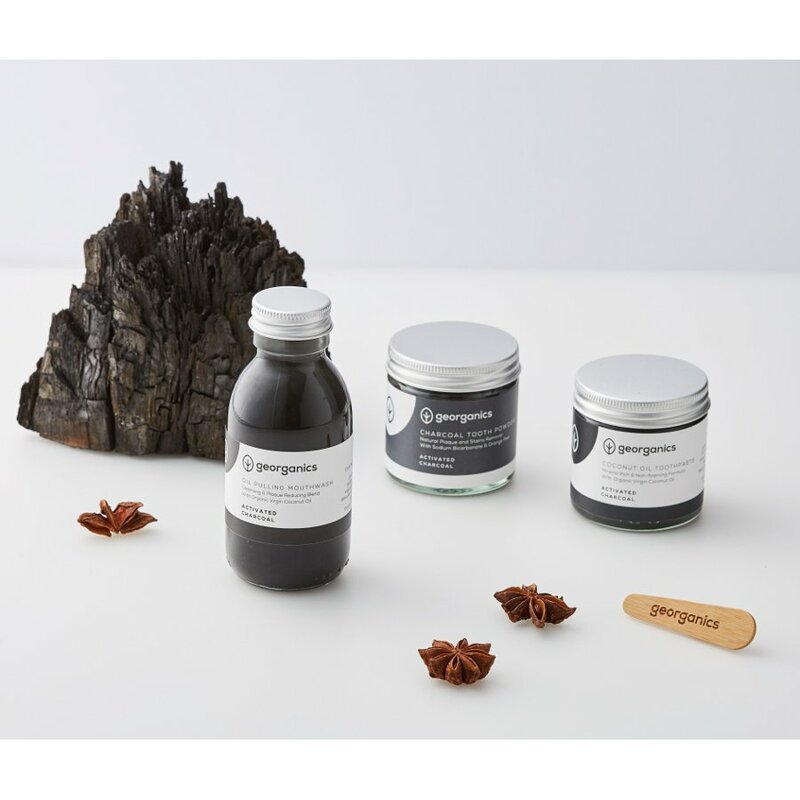 Georganics is committed to sustainability and created zero waste products that are kind to you and the planet. Free from fluoride, parabens, SLS, SLES, mineral oil, microbeads, phthalates, triclosan palm oil and synthetic fragrances. Suitable for vegans. Suitable for septic tanks. Made in the UK. Packaged in recyclable glass jar. Calcium Carbonate^, Caprylic & Capric Triglyceride*^, Kaolin^, Cocos Nucifera Oil*^, Butyrospermum Parkii Butter*^, Diatomaceous Earth*^, Sodium Bicarbonate^, Mentha Piperita Oil*^, Charcoal Powder^, Tocopherol^. 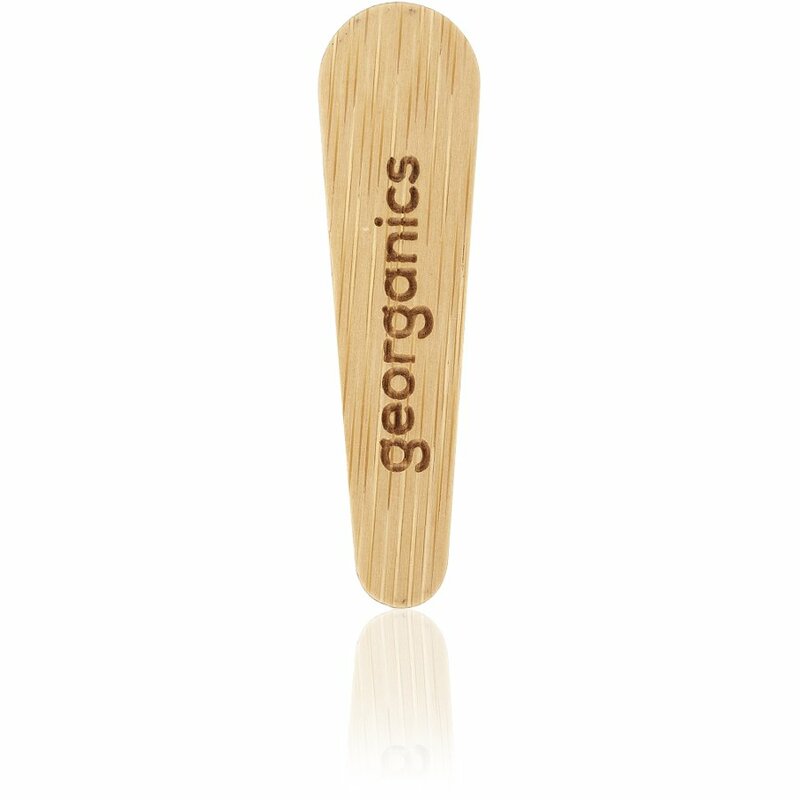 Use your Georganics spatula to scoop a pea-sized amount onto a soft/medium toothbrush. Brush as usual for 2-3 minutes, leave longer for extra remineralization. Once the jar is opened store in a warm, dry place for up to 12 months. 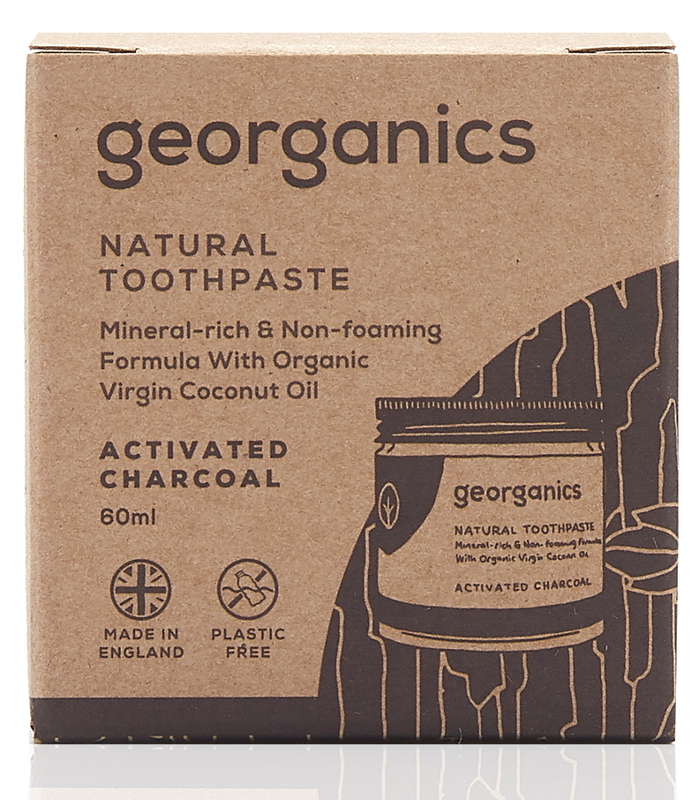 The Georganics Natural Toothpaste - Activated Charcoal - 60ml product ethics are indicated below. To learn more about these product ethics and to see related products, follow the links below. 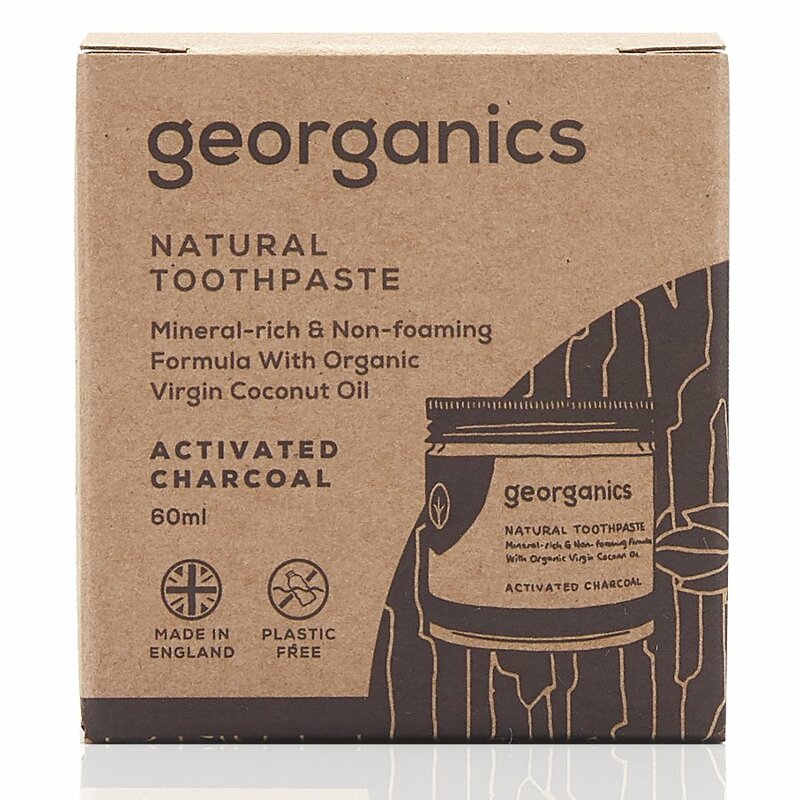 I'm just experimenting with natural toothpastes and was delighted to find this product which comes in a glass jar (no nasty plastic!) and which tastes quite pleasant - also Uk made so this reduces the distribution pollution! 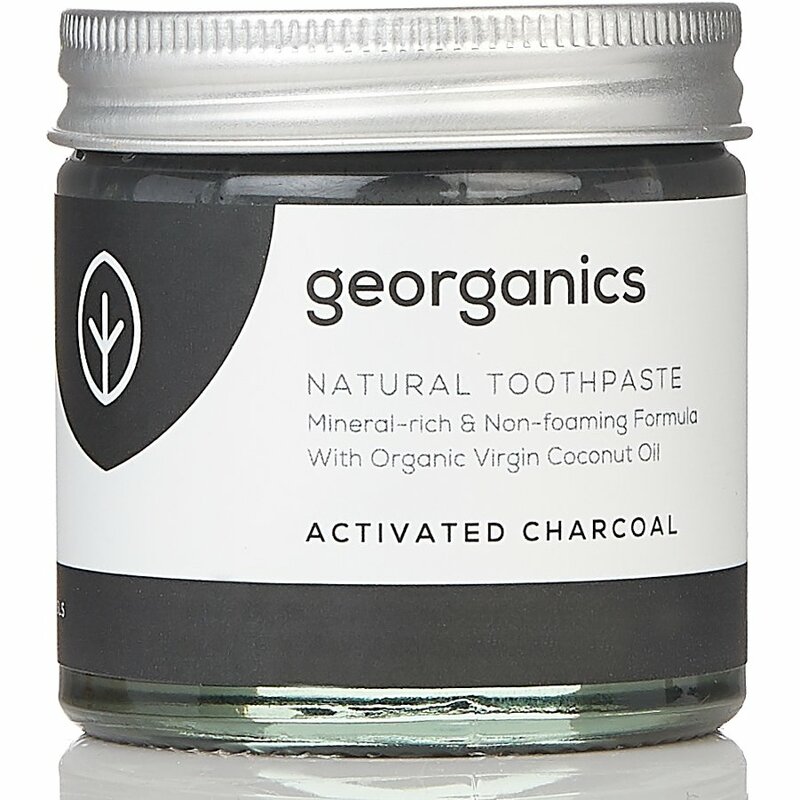 There are currently no questions to display about Georganics Natural Toothpaste - Activated Charcoal - 60ml. 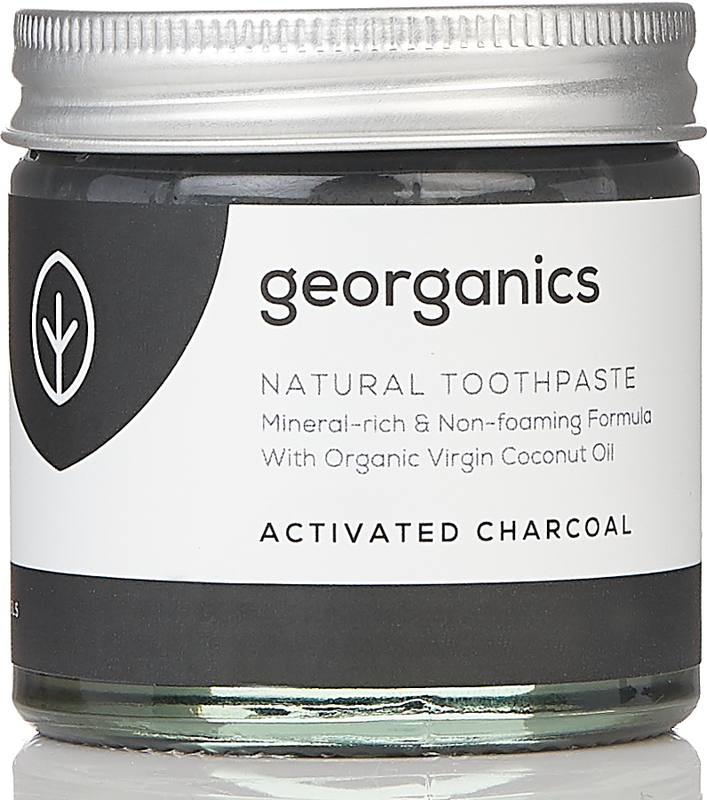 Georganics specialise in natural, sustainable and ethical dental care, creating superb products promoting oral health. 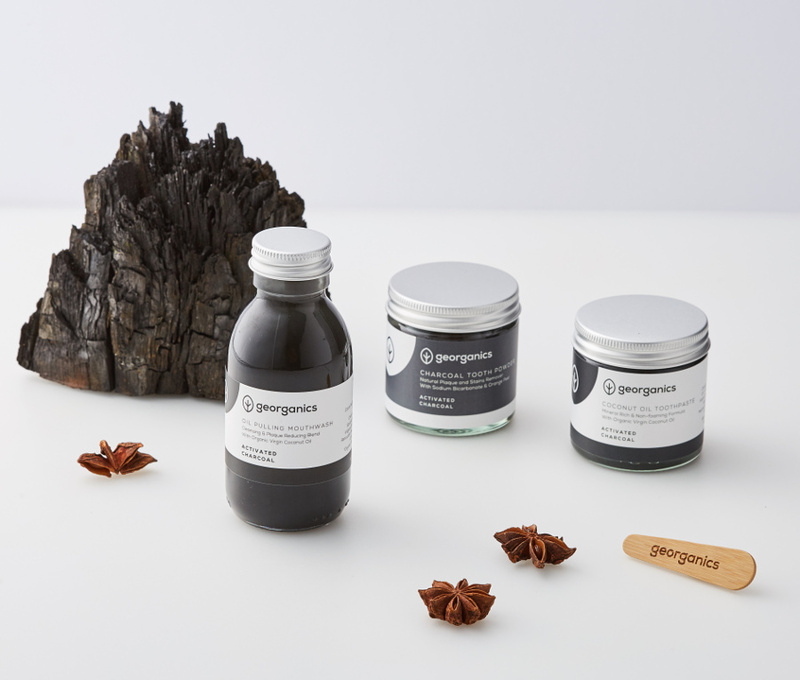 Made by hand, each formula includes locally sourced, pure, natural and organic ingredients that are kind to you, your teeth and the planet. 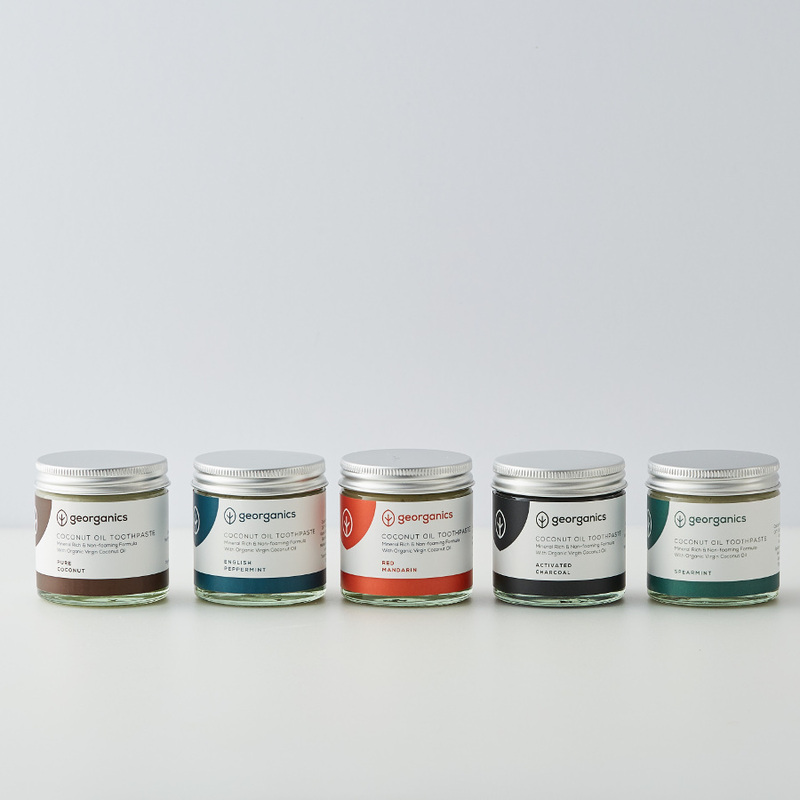 The company is also committed to offering sustainable products which is why all packaging is plastic free as well as being recyclable, biodegradable or compostable.